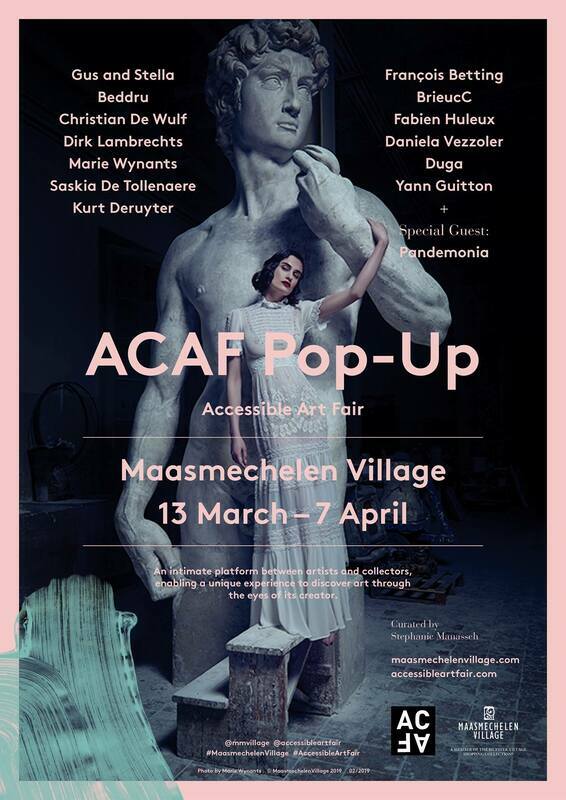 The Accessible Art Fair launches a prèmiere POP UP edition in Maasmechelen Village between March 13th and April 7th. Beddru and other 12 Belgium based International artists will be curated by Stephanie Manasseh, founder and director of ACAF. The event will take place simultaneously with TEFAF allowing art loversand collectors to enjoy both events being them at short distance from each other.